Hi lovelies! 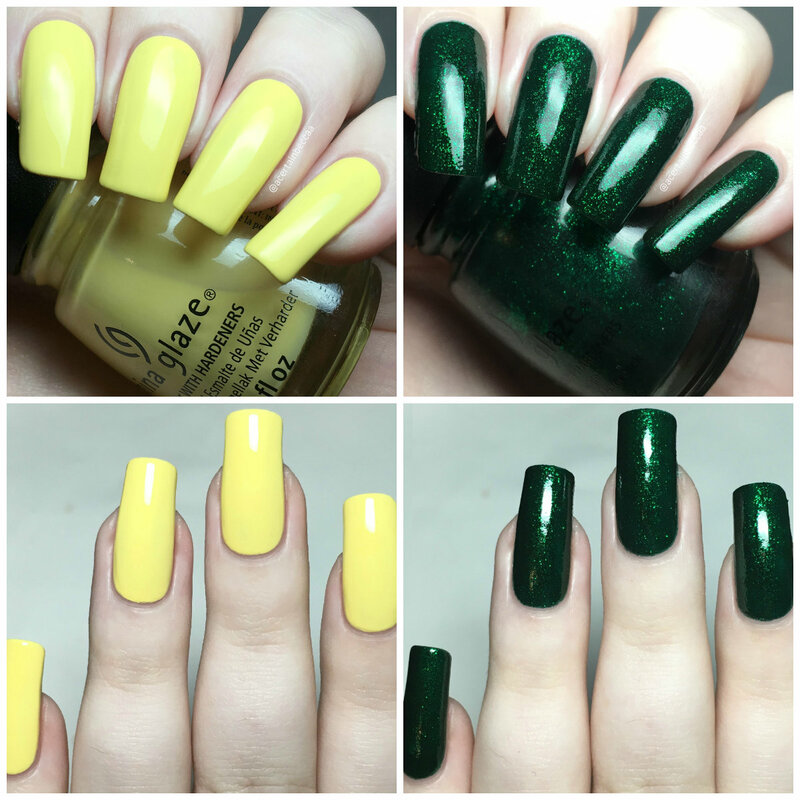 Today I have two older China Glaze polishes to share with you, both of which I picked up in a recent destash (thank you to Amy of NailPolish BabyyNinety for pointing them out to me!). I don't believe 'Lemon Fizz' is too hard to find, but I know that 'Emerald Sparkle' is on a lot of people's lemmings lists! Read on for my full swatches and more info. 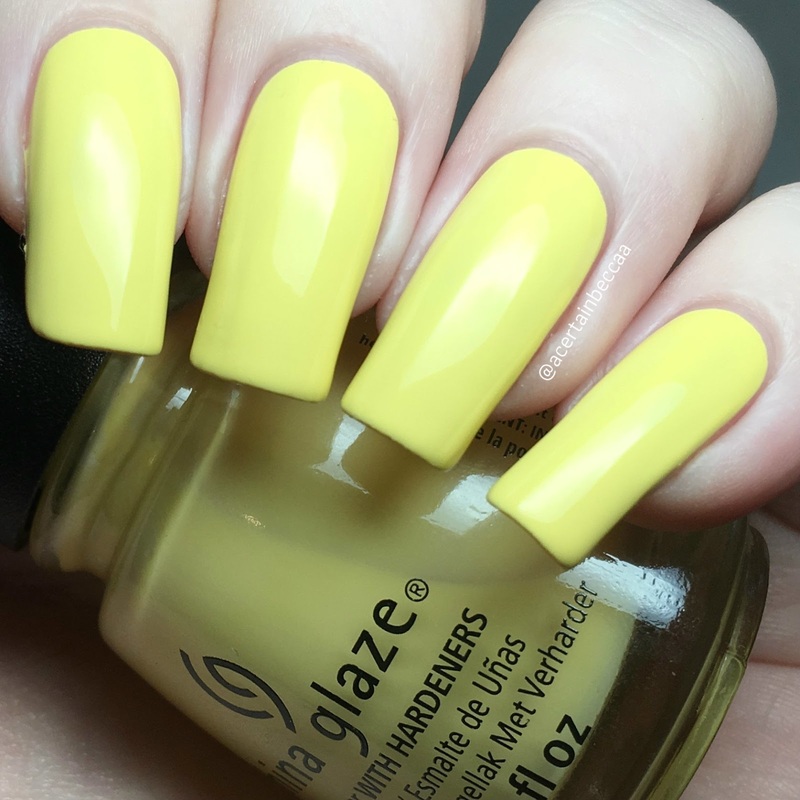 'Lemon Fizz' is a pastel yellow creme. This is from the Up & Away Collection back in Spring 2010. The formula is smooth and easy to apply, and far less streaky than I would expect for a lighter yellow. I almost got away with two coats, but did just about need a third. 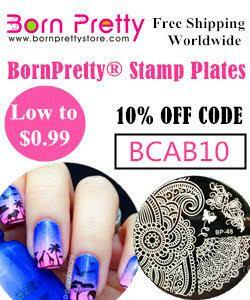 I think two would be fine shorter nails or careful application. Below is three coats with topcoat. 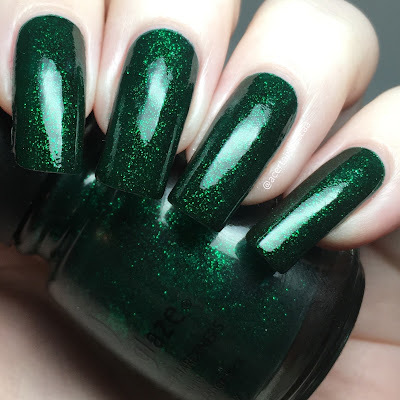 'Emerald Sparkle' is a deep green jelly base packed full of tiny bright green glitters. This is pretty much the green version of 'Ruby Pumps', which is one of my all time favourite China Glazes. The formula is easy to apply although is did start off a bit sheer and patchy - due to both being a jelly base and an older polish. Below is three coats with topcoat. What do you think? I'm so happy to add both of these to my China Glaze Collection. I love yellow polishes, and 'Lemon Fizz' has such a nice formula for a pastel yellow. Then there's 'Emerald Sparkle', which speaks for itself really! Amy also reminded me that 'Dorothy Who' is very similar to that and 'Ruby Pumps', so I'll have to get that out and swatch it soon!